Located in various spots around California, Becker Surf has made a name for itself as being California’s premier surfboard retailer and shaping over 100,000 boards, which is more than any one else in the history of surfing. Malibu is lucky to have Becker Surf right off the PCH where guests can easily access the clothing and gear offered at the store. From children to seniors, Becker Surf offers something for anyone year round, and it’s in the heart of Malibu. 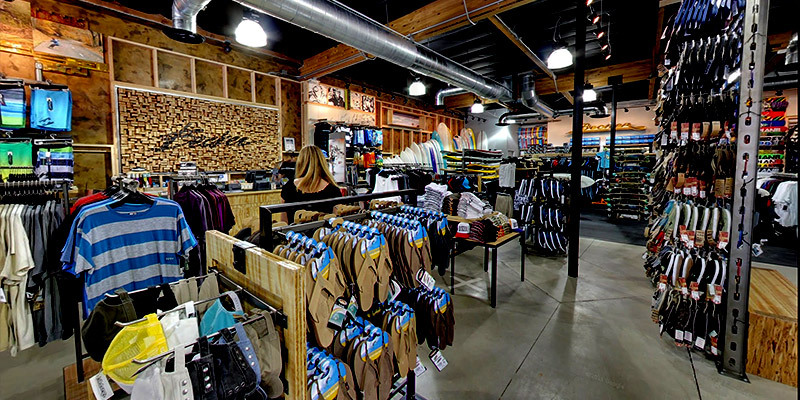 Becker Surf offers several brands in men and women’s clothing. Whether you’re on the hunt for a wetsuit or a new outfit, Becker sells much more than excellent surfboards. Brands such as Billabong, Roxy, Vans, Quiksilver, Oakley, and so much more can be found at Becker and retail items such as sunglasses, swimsuits, children’s clothing and surf gear. From the moment you walk into Becker Surf in Malibu, you’ll be drawn in by the friendly staff, upbeat music and overwhelming amount of high quality boards and clothing. If you aren’t sure how to choose a surfboard or a specific item, the knowledgeable staff will be more than willing to assist you in your search for something that is just right for you. If you’re in the Malibu area and looking for a new surfboard or even something to wear to the beach, head over to Becker Surf or check out their online store at, Becker Surf. You can order merchandise online and keep up with their news on their blog and social media pages.